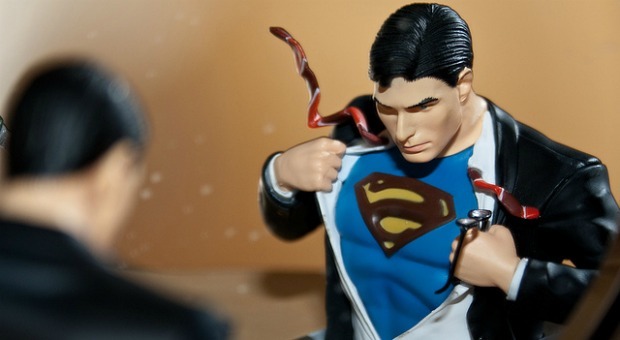 Most of focus far too much energy on our kryptonite, wallowing in shame and self-pity. We let fear and doubt consume us, which limits our potential. Meanwhile, our superpowers–the gifts that make us truly special–take a backseat and don’t get fully developed and cherished. Aquaman has the unique ability to control and communicate with sea creatures. Invisible Woman can–you guessed it–become invisible at will. In fact, each of the superheroes we grew up with and admire have one or more superpowers. Turns out that most highly successful people, both mythical and real, have their own secret weapon. From Zeus to Warren Buffet, Serena Williams to Mark Zuckerberg, Oprah to Derek Jeeter, each has their own secret sauce. It’s a unique gift that makes them powerful, compelling, and remarkable. The good news is that you have your own superpower, too. It may be the ability to show empathy and patience. You might be a math whiz. Maybe you are terrific at communicating complex ideas. Perhaps you remember everything you read. The even better news is that to be incredibly successful you don’t need to be a master of all things. The top superheroes may have x-ray vision or time-travel, but none have all the superpowers. True heroes play to their strengths. The spend a disproportionate amount of time being the absolute best at a small number of things rather than trying to master every skill. And then there’s Kryptonite, Superman’s Achilles heel. Turns out we each have one or two of our own soft spots. You may stink at long-division, lack computer skills, or hate writing. You may have a particular relationship that makes your knees wobble and strips you of your power. Perhaps your weakness is junk food, alcohol, or gambling. Unfortunately, most of us play it backwards. We focus far too much energy on our kryptonite, wallowing in shame and self-pity. We let fear and doubt consume us, which limits our potential. Meanwhile, our superpowers–the gifts that make us truly special–take a backseat and don’t get fully developed and cherished.